Riders can often fall into one of two categories: Those who want to compete and those who don't. A more extreme version would be people who are for competition and those who are against it. My personal view is that there is nothing wrong with competing as long as you are able to keep your wits about you and not let yourself turn into a monster that makes your horse wonder where his partner went. In fact, doing shows can be the best way to make real measurable progress IF you prepare yourself well. 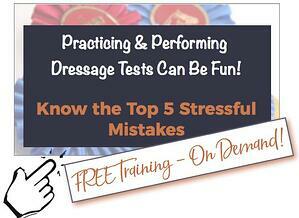 I already wrote about the 5 mistakes most people make that cause dressage competitions to be an unpleasant experience. In this article I'll share about a recent 4-Day Ride-A-Test clinic I taught. The participants ranged from having little to no desire to go to recognized competitions. Yet after 4 days they left wanting to form a team and go to shows together to support each other. They all met personal goals and their horses finished fresh and happy. So what did we do? The first thing I wanted to assess was that the test they chose was appropriate; not too hard or too easy. If the choice isn't the right amount of challenging you will be uninspired to commit to your goal. Then I needed to make sure they understood the nitty gritty details of the test: The purpose, the geometry, the movements. After running through the test we determined what we needed to improve for being judged on the last day. 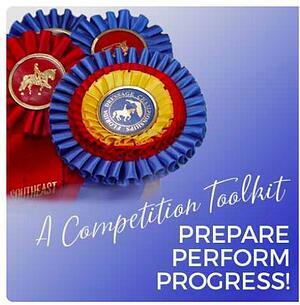 This close to competition day you are no longer training, and you need to focus on riding, and making the absolute most out of what you have right now. 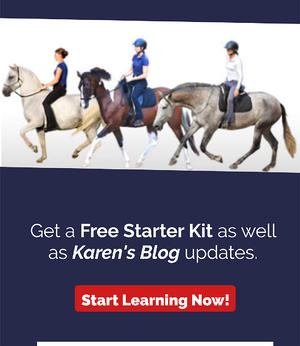 Ironically, this kind of attention to detail, as well as a shift of responsibility from what your horse needs to learn, to how you need to ride often is the most valuable training experience for your horse! We went deep into the things we knew we could improve. With a very precise focus we took the time to rehearse the exact way to ride into particular movements, the exact timing and preparation for transitions, and when to ride conservatively versus when to 'go for it'. We used psychology with the horses by varying the test pattern. For example eliminating or changing the location of a transition if the horse was overly anticipating, or adding circles if the horse tended to get rolling along too much. We also used this day to tweak rider position or to find the levels of energy that would work the best. This was the day to consider warm up plans and test them. I rode a couple of my horses to demonstrate how to ride certain movements and to narrate what I was doing and thinking in the moment. 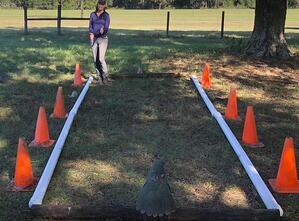 We also set up a human-sized dressage arena where participants could recreate the flow of their tests on foot. Everyone was required to commit their tests to memory. The afternoon was about sports psychology. 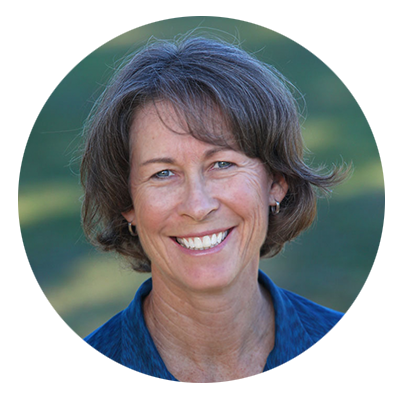 I shared a video interview I did with Dr. Jenny Susser for my online course about competition preparation. She emphasized the need to add pressure to your training and the importance of learning how to prepare and practice so that pressure becomes a positive influence. Day 3 started with some inspiration from my most advanced horse, Ovation (schooling Grand Prix). Then with their own horses participants practiced warming up in a different location then moving to the dressage arena to do their tests. During the test they were able to ride do-overs and it was a challenge to their focus as I would have them repeat or school movements then ask them to pick up the test where they left off. We got to practice 'what to do in the test if....' scenarios as they arose. Later I shared techniques for reading tests for each other (an art in itself) and took final questions for the details of their test plans. Once we were done with the questions we made a distinct shift of focus. Show day was tomorrow. From here there is nothing more to add and the goal is to be in a productive state of mind for their performances the next day. We did a visualization exercise and discussed the benefit of turning off the narrow focus as well as the power of having a diffuse and immersive attention (the kind when you are 'in the zone'). I shared about what it means to be in an alpha-synchronous state (this is where our horses want us to be). The day ended as we all did an Open-Focus guided meditation. A storm was coming so we gathered in my tack room. There was something perfect about dropping deeply and quickly into the meditation while thunder and wind howled outside. We truly were experiencing being the calm in the middle of the storm. From this state of mind the riders set their intentions and goals for their performances the next day. Our judge was Sharon Jerdeman (teacher inside the Prepare Perform Progress course). Each rider had a 30 minute spot to be judged doing their test and then receive feedback from Sharon as well as a chance to school through her suggestions. Each rider rode a second test later. The riders were so focused, open, relaxed, and thinking. The horses also rose to the occasion, appearing as fresh and ready to go as they were the first day of the clinic. By doing so much mental rehearsal off the horse, and precise, targeted focus when on the horse, we were able to gain a lot of improvement during the past 3 days without overly tiring them! The day concluded with a Q&A from Sharon and the awarding of the high score for the day. The riders got to experience a judge who saw the best in them and could judge without being judgmental. She gave honest assessments and real scores, but with the empathy of a fellow rider/competitor. I was feeling proud of them all. Everyone did their best and achieved their goals. I knew that not all participants were thrilled when I told them that the fall clinic would be a Ride-A-test clinic. It was pressure for sure... But without pressure coal just stays coal instead of turning into a diamond. The best part was the smiling faces. Everyone played full out, did their best and supported each other. There were errors, there were spooks and jumps out of the arena. There was brilliance, harmony and smart riding. There was cheering and laughing. I heard them discussing to go to shows together as a team. As one rider put it: "I can't believe I actually could have FUN doing a dressage show!"